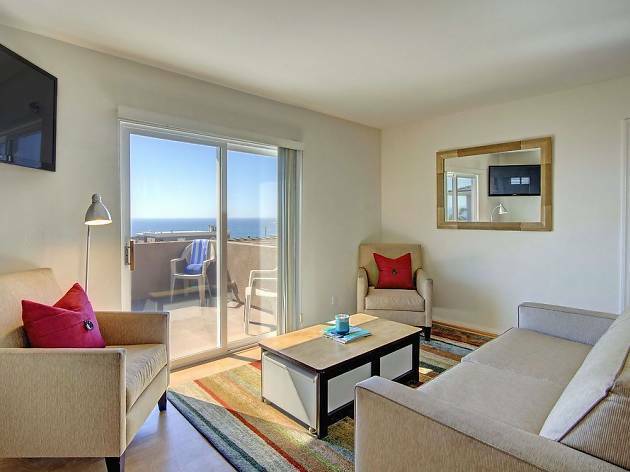 Though not quite on the beach, this low-rise, hilltop hotel is about as close as you can get to the ocean in Manhattan Beach. The Sea View Inn is situated amongst low-key cafes on the city’s calmer north end. Some rooms have been redone with a more modern aesthetic, though others feel decidedly more motel-like. 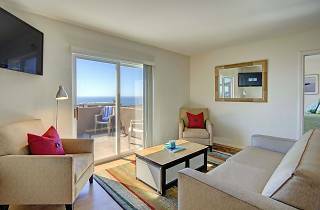 Rooms facing Highland Avenue may be a little noisy, but larger rooms and suites come with private balconies and picturesque ocean views. Bikes, beach accessories and Wi-Fi all come included.